← Belly Dancer Tribute 2/20/12: Nazaree Azure (Chicago, IL) original Tweet 10/6/11, What is your favorite dance costume by Nazaree Azure? 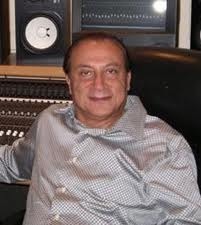 Belly Dance Musician Tribute 2/21/12: Dr. Samy Farag (Hollywood, CA) original Tweet 10/7/11, What is your favorite dance song or video by Dr. Samy Farag? THE ROCK – DWAYNE JOHNSON! What on earth does Dwayne Johnson (AKA The Rock) have to do with Dr. Samy Farag? 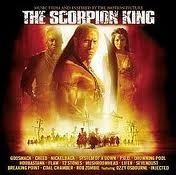 Well, the Rock was in the movie The Scorpion King and music by Dr. Samy Farag “Jewel of the Desert” was featured in the movie The Scorpion King. Got it? Good. You know how some musicians have so many albums are CDs out that some are hit and miss? For example, The Jackson 5 are one of my favorite groups from back in the day, so when they splintered out and did individual albums, so were good, some were not so hot. I love mostly all of their early albums; but some of the later ones after Michael left are just blah. This is not the case with Dr. Samy Farag. Every Belly Dance CD or Cassette that I have from him is pure GOLD! They are ALL GOOD. You can’t go wrong with dancing to music by Dr. Samy Farag! So just buy them all!!! What is your favorite dance song or video by Dr. Samy Farag? I like your current writing design, excellent info, i want to thank publishing. “Nothing units a person a lot out of the devil’s reach as humbleness.